I have been enjoying the builds of both my Bristol F.2b and FE.2b aircraft. And also enjoying all the other builds by you folks on this site. What I am wondering though....does anyone else build armour? This is where I came from to start. I build a lot of WW2 and modern Canadian vehicles. 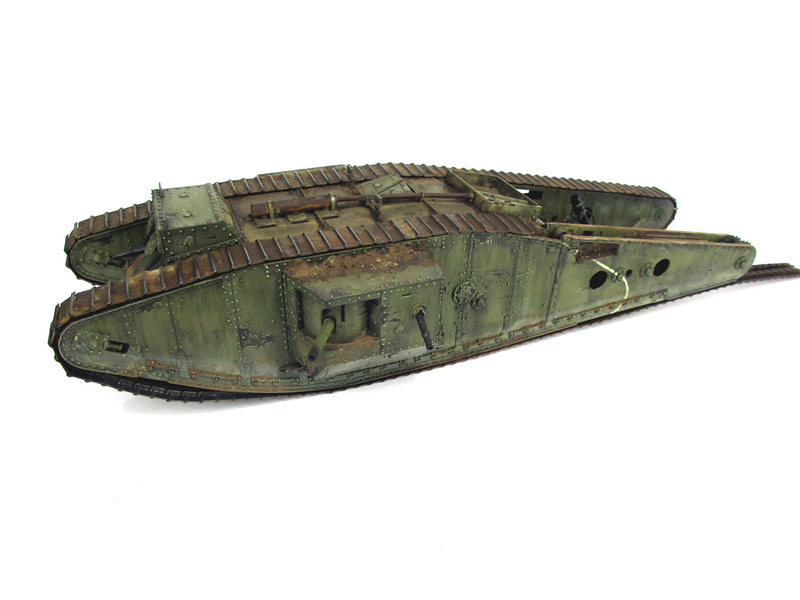 I have a Takom MK.V tank in the works. Two of our Forum Members from Ontario (and very close friends) are Armour Builders, and very good ones as well) Trackpad (Gary) and Chris Johnson are Guys you may have unknowingly crossed paths with at a show or two. They hail from Petawawa and Newcastle. I see a lot of beauty in the Armour subjects, especially the weathering effects Guys produce, but I've really never had a desire to build any. 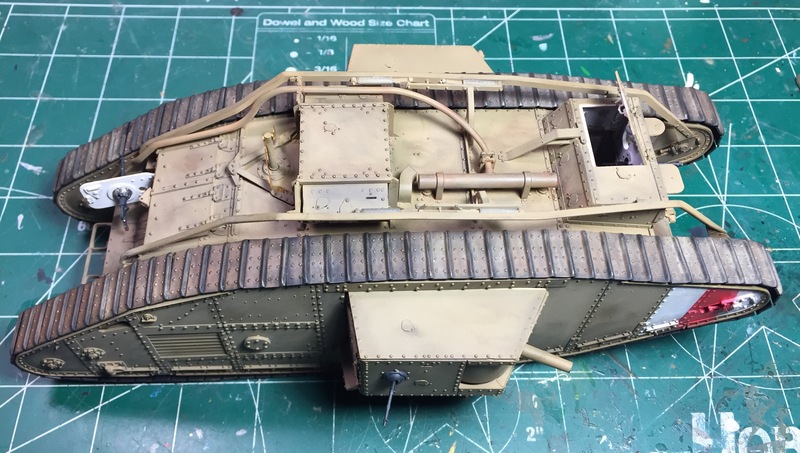 You should post your Tank Build in the category for it here. I posted my previous as you were replying; I had not seen your Dio before, that is a magnificent job! this is one of my favorites, although it is very much not restrickted to ww1 or even armour. but they do/did some very nice armour including several ww1 kits. you need to go through the website to find them, but they mostly kits in 3 parts, inbox, build and finishing, very helpfull and informative. 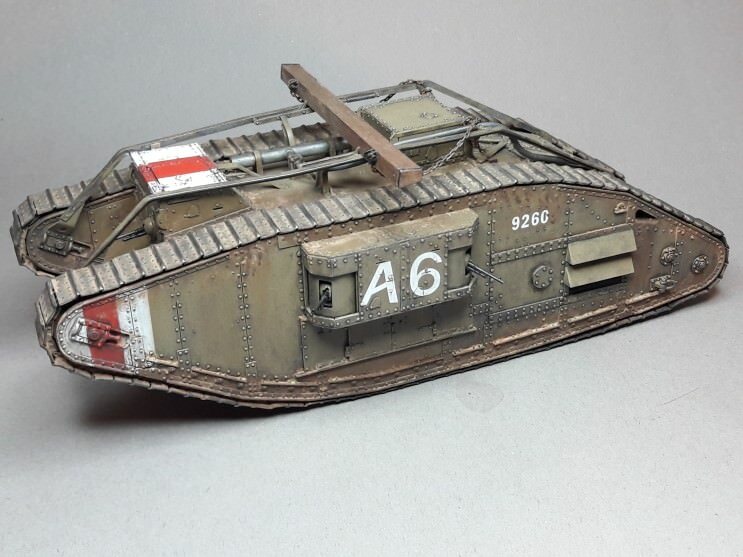 I've just finished a Meng Mk V female tank, a really good and straightforward build. Will be posting some pics of this soon. 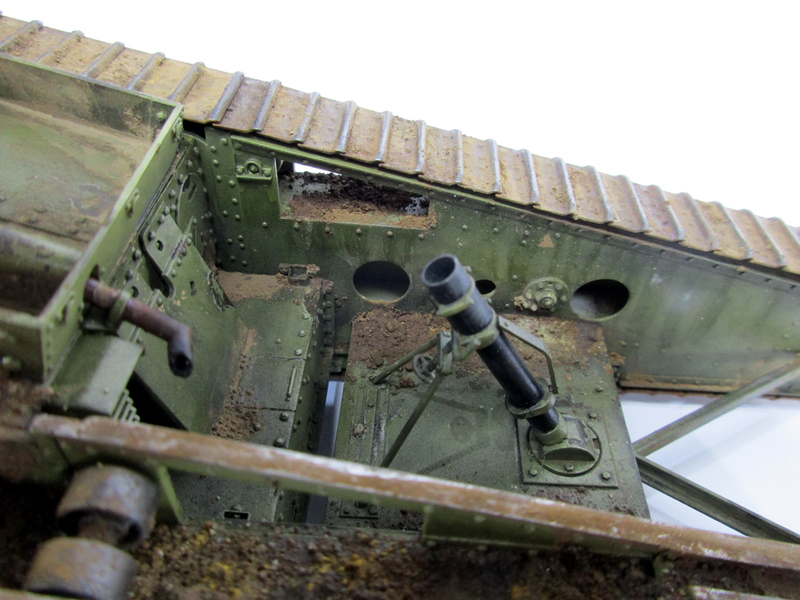 I mainly build aircraft and figures but had the Mark V and also a St Chamond and Schneider in the pile. 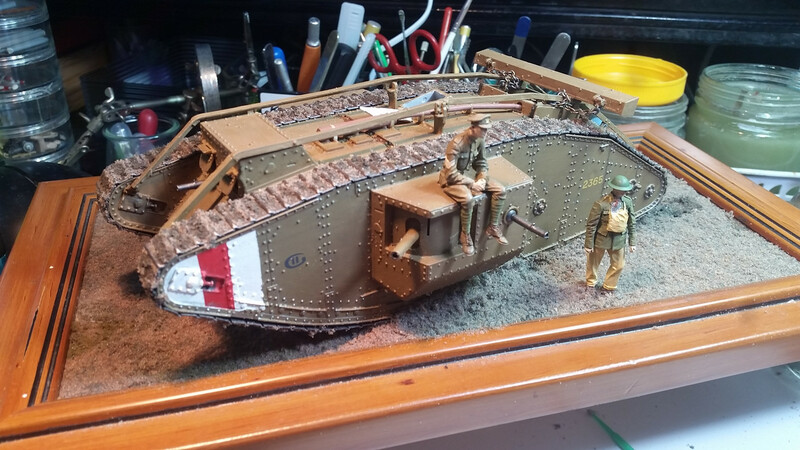 The Mark V was my first tank model for many, many years and it was fun to do. I plan to place the Mark V in a small diorama inspired by the attached picture. 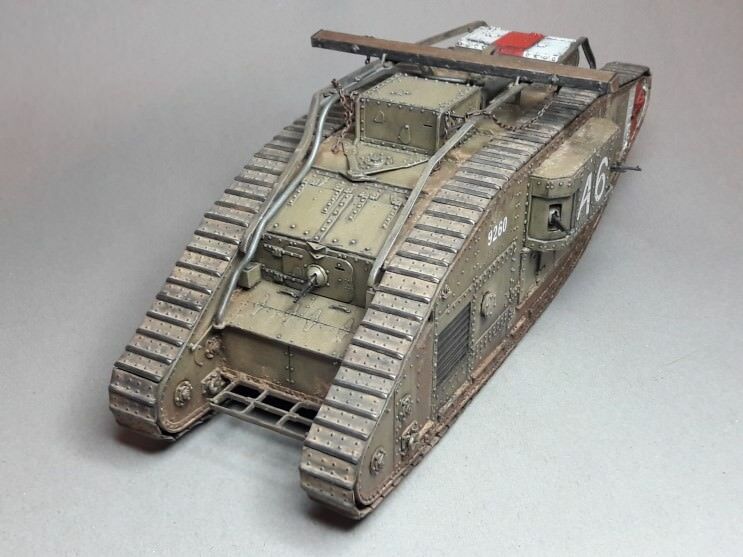 I have built the Meng Renault FT-17, Whippet and Mk V with full interior. Of the three I enjoyed the FT-17 and Mk V the most. All are good kits with few fit issues. The Mk V came together surprisingly well considering the complex nature of the assemblies. I glued small tabs to help hold the sponsons in place to keep them removable to show the interior. I recommend these kits highly. Author of "The Q Fragments" http://Http://theqfragments.com & Amazon for paperback and Kindle. Those are both beautiful builds! 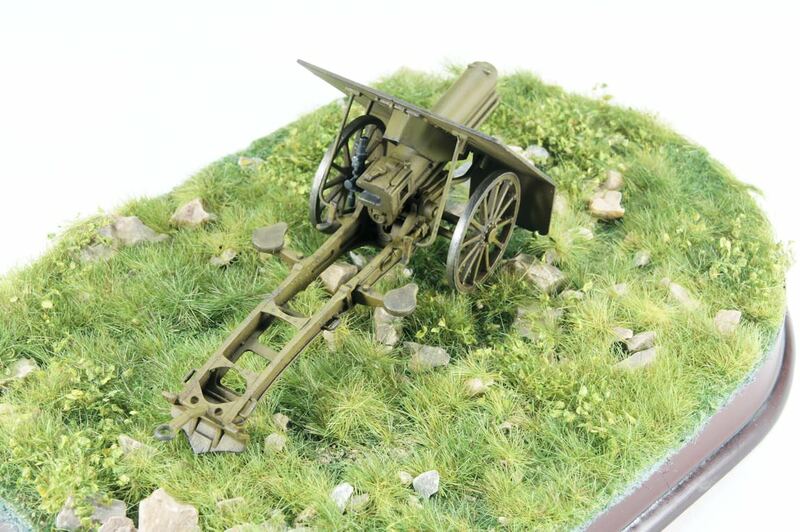 Does artillery count? 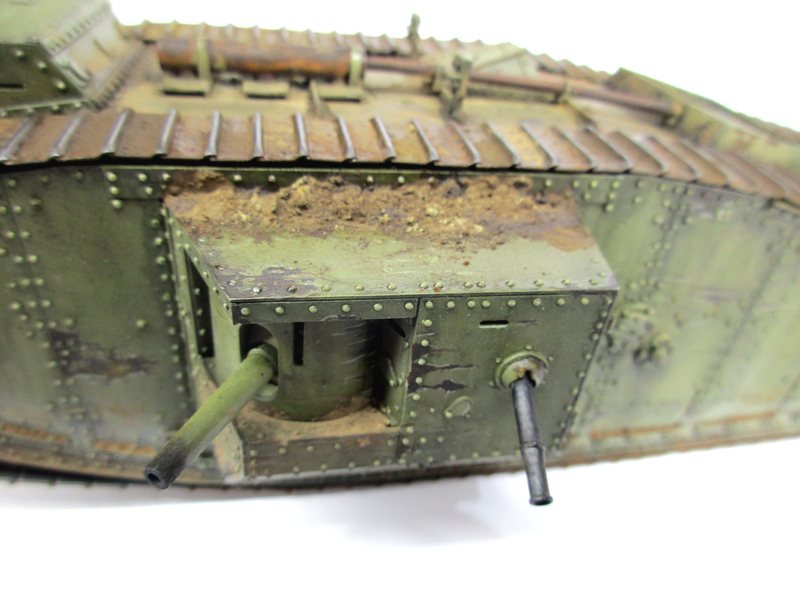 This is the little 1/35 Special Armour 7.5cm Mountain Cannon, a fun and different build I did last year. The base is made from an AMMO Mig pre-fab mat. 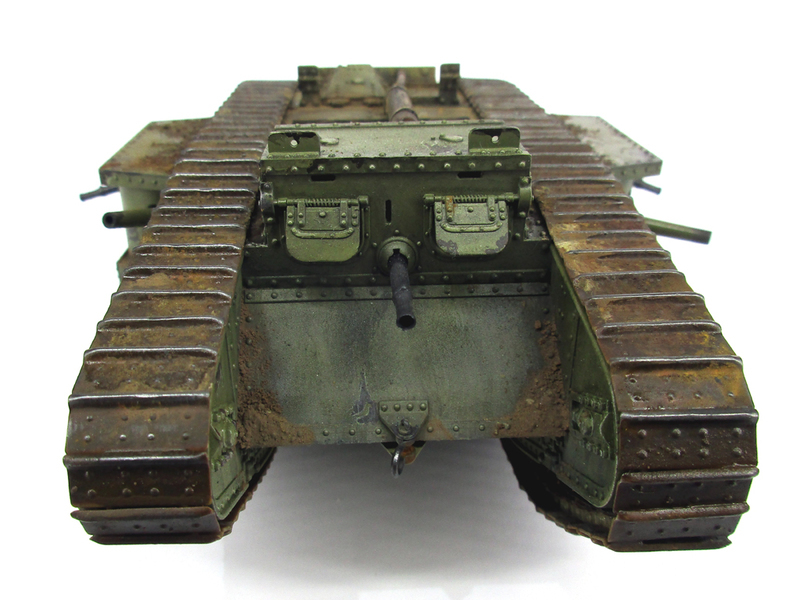 I did the Takom Tadpole a couple of years ago. It was a fun build, made in just 3 days. May be it will get a scene around it. 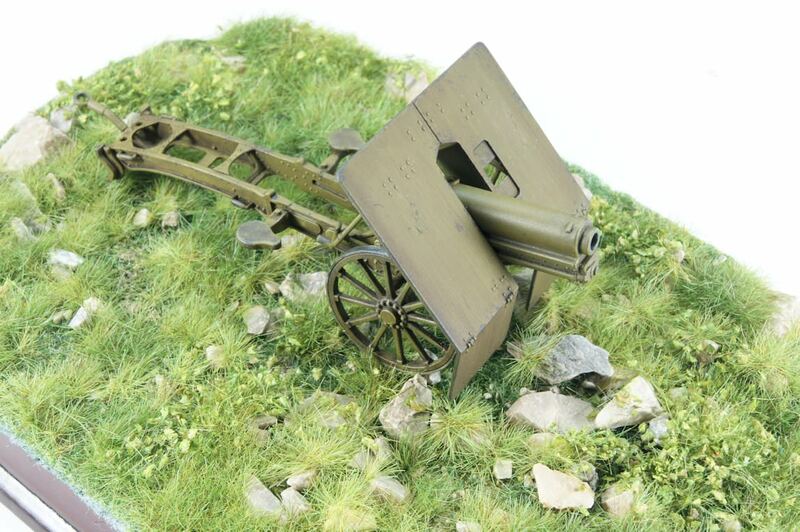 Nicely done Artillery piece Eric! The painting is gorgeous and the mat really sets things off. Nice work Eric and Manni. 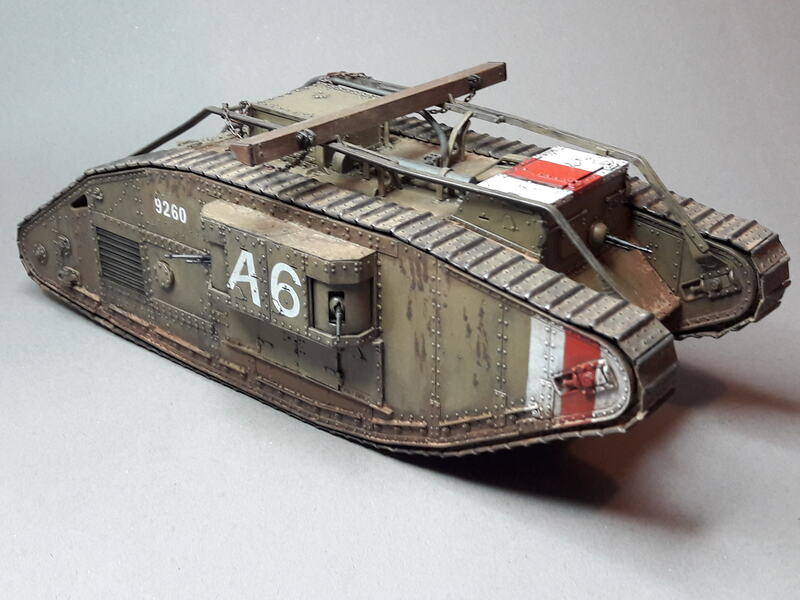 Here's my most recent model (as mentioned above), a Meng Mark V Female representing 9260 that was in France from August to September 1918. Sadly she was hit and burnt out in the battle of the Drocourt Quent Switch Line on 2nd September 1918. Some wonderful armour on show here gentlemen, many thanks for sharing your builds with us. 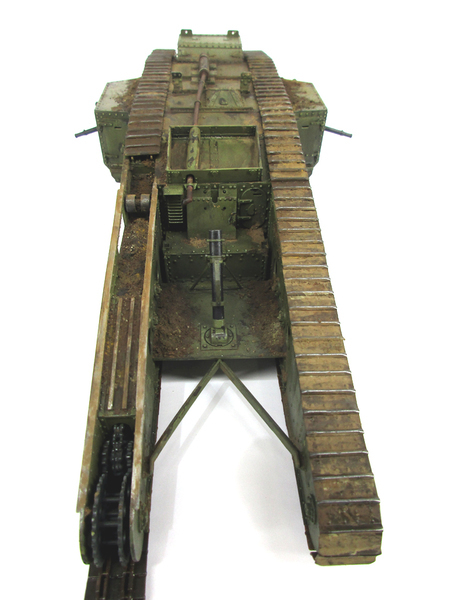 My contribution is the Tamiya Mk IV Male tank recently finished with crew members courtesy of Stalingrad figures. 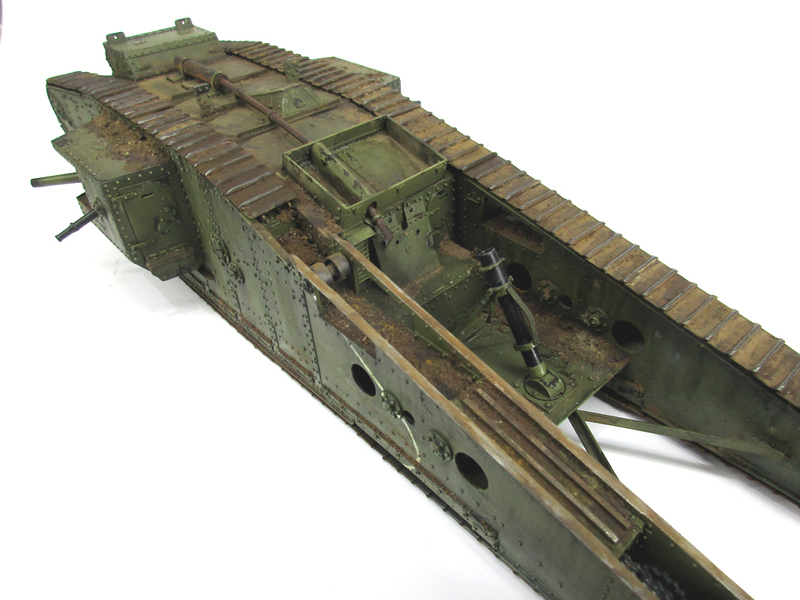 The Tamiya kit includes a working motor and moving tracks. I prefer a static display. The base is a photo frame sourced from a thrift shop. Nice work Dave. I have the full Stalingrad set and plan to use them (with some other figures) in a small dio with the Mark V Female (at some point in the future....).